Amber powered smart products set a new standard for IoT enablement, with superior safety, solid state quality and uniquely more expansive smart feature scope – all within a home or building’s standard existing electrical footprint such as a single gang box and circuit breaker. Ideally suited for smart products like smart outlets, smart switches and other electrically powered smart products, Amber’s core technology enables a safer, smarter and more connected IoT foundation within a building’s common single gang box locations. This foundation creates a truly more robust and more pervasive smart sensor and smart control infrastructure. IoT Products for Today’s Smarter World. A suite of state-of-the-art safer, smarter, and more compelling products from Amber, as the foundation for the next generation of IoT powered home and building smart infrastructure. Amber products serve the breadth of residential, commercial and industrial sectors. In every case, Amber delivers superior smart products, of higher quality, that are easy to install and require no significant new training. 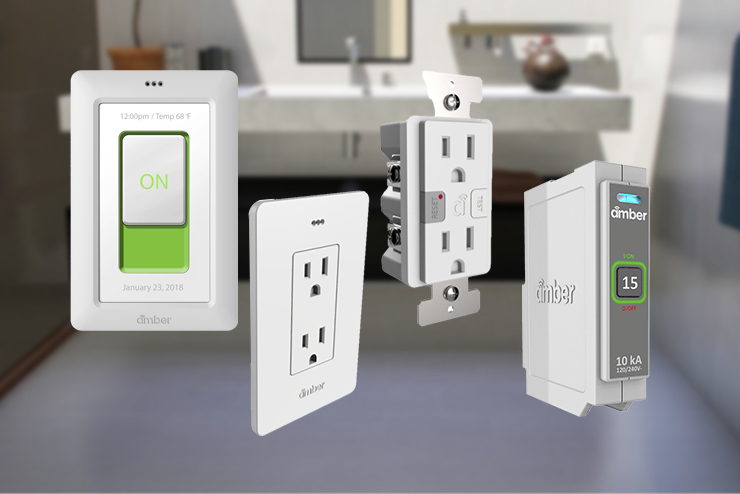 Ambers core solid-state technologies transform today’s old, powered IoT products, like outlets and switches, into uniquely safer, dramatically smarter, and more connected IoT infrastructure.